This is a really plain-looking cake, but as far as taste goes, it’s truly outstanding. 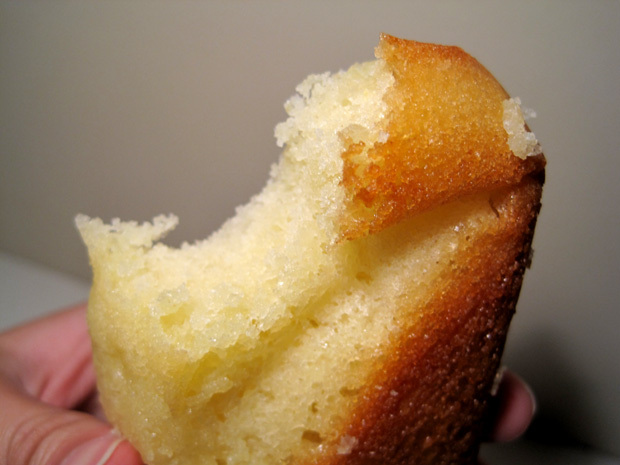 I saw this recipe on Serious Eats, and was positively enthralled by the idea of adding olive oil into a lemon pound-esque cake. Those flavors sound very Mediterranean to me, and I also had a tub of Greek yogurt sitting in my fridge. Why the heck not? And I’m exceptionally pleased with how this cake turned out. I used nonfat Greek yogurt instead of regular plain yogurt, and that might have contributed to the slightly coarser texture of the cake but I have absolutely no problems with how it tasted. The olive oil wasn’t exceptionally pronounced, and you wouldn’t be able to discern it if I didn’t tell you there was some. I truly love how this cake is startlingly good in its simplicity, and the technique required is almost idiot-proof too. Highly recommended. Getting ready: Center a rack in the oven and preheat the oven to 350°F. 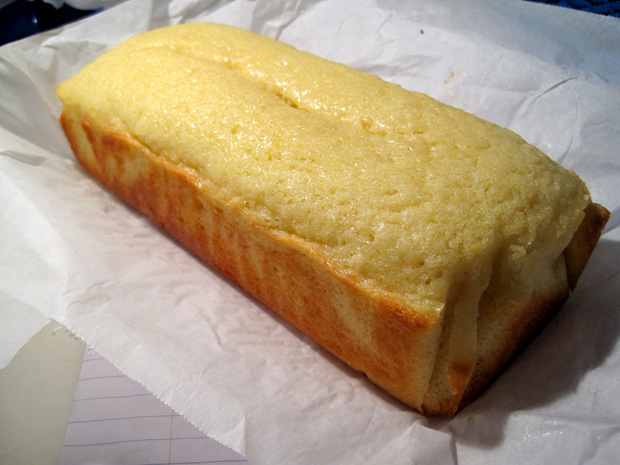 Generously butter an 8 1/2-x-4 1/2-inch loaf pan, place the pan on a lined baking sheet and set aside. Whisk together the flour, baking powder and salt and keep near by. Put the sugar and zest in a medium bowl and rub the ingredients together until the sugar is fragrant. Whisk in the yogurt, eggs and vanilla. When the mixture is well blended, gently whisk in the dry ingredients. Switch to a spatula and fold in the oil. The batter will be thick and shiny. Scrape it into the pan and smooth the top. Bake the cake for 50 to 55 minutes, or until it is golden and starts to come away from the sides of the pan; a knife inserted into the center of the cake will come out clean. Cool on a rack for 5 minutes, then run a knife between the cake and the sides of the pan. Unmold and cool to room temperature right-side up.